I had been waiting patiently for the HAIM concert for an extremely long time, and I can’t believe the concert has already come and gone. I know that I have raved about all of the concerts I have attended recently but this concert exceeded my expectations. I’ve heard with frequency how amazing the sisters are live, and they certainly proved that to be true. 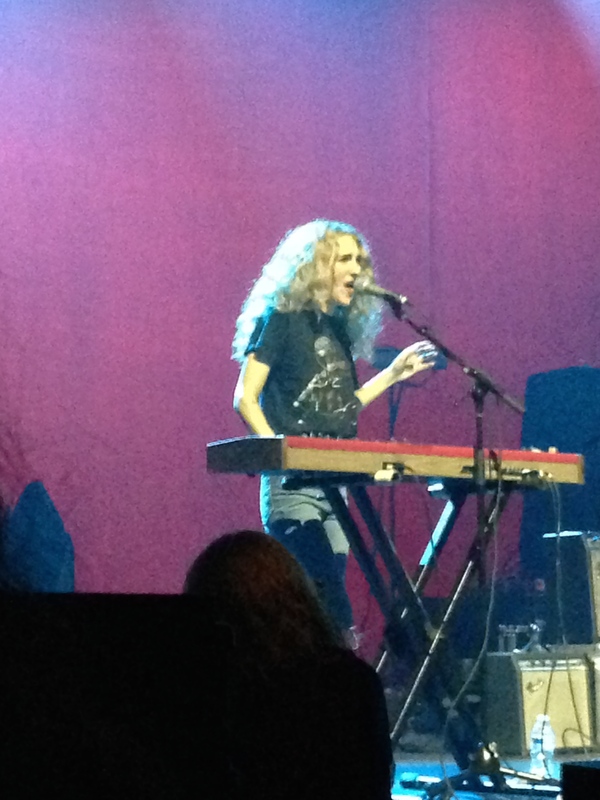 Tennis opened for HAIM, which I was very excited about. I love their music and think they are very talented. Unfortunately, the music was significantly louder than the vocals. One interesting things that happened was when Alaina told a story about how she was stuck in traffic on the way to the venue and desperately had to use the bathroom, and when she asked where the bathroom was, the man pointed to a restroom which only had a urinal in it. He apologized and said that had been the bathroom for the last forty years. Alaina used this story to emphasize the power of women in music and the necessity for more. She discussed how musicians like HAIM are making that idea a more prominent and accepted one. I thought that was an extremely awesome story/message to tell (even though the story revolved around a bathroom…..). When HAIM finally came to the stage, I couldn’t quite wrap my head around the fact that I was actually seeing them live. Their mom is from Philadelphia, and was at the concert. They talked a lot about the fact that she was from there which lead them to have a connection to Philly. The energy that radiated throughout the venue was unlike anything I had ever experienced at a concert before. The girls killed it. Whether they were singing, jamming, or shaking a maraca, the passion and love they put into each song was palpable (was that super cheesy?). Este and Alana have constant banter that is entertaining and enjoyable. Danielle kills it with her incredible guitar licks and solos. At one point, they performed their cover of XO by Beyonce, in which Dash played the guitar and Danielle played the drums. It was absolutely amazing to see in person how truly talented the girls (and Dash and Tommy) are, as well as their versatility. One of the things I was most looking forward to was the drum circle-type jam they do at the end of each show. Not to continuously say, ‘it was just so amazing,’ but it really was. 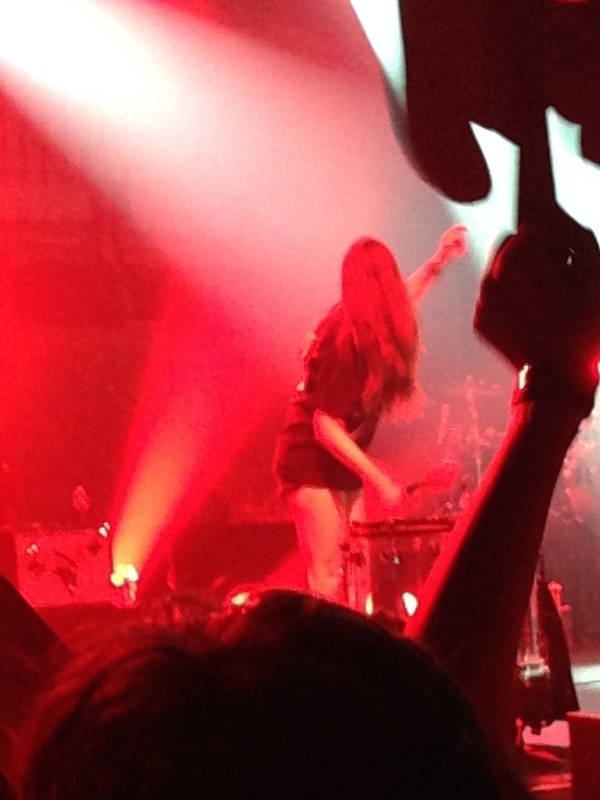 No words I could say could properly convey the experience of all that is a HAIM concert. I have heard their cover of “Oh Well” a million times, yet was still blown away. To say the least, this is a concert I will never forget, one that probably won’t be topped for quite some time. 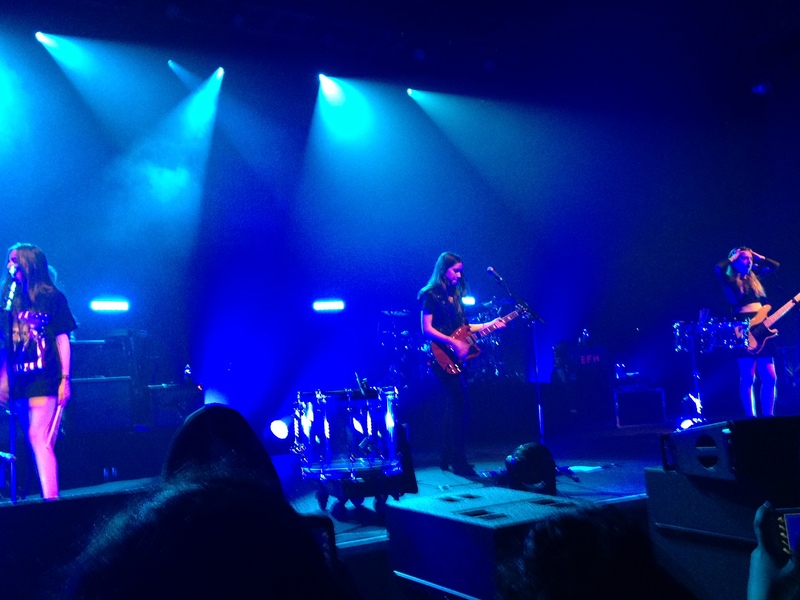 This entry was posted in Uncategorized and tagged Concert, HAIM, Live, Music, Tennis. Bookmark the permalink. OMG they are so great in concert! Their encore blew my mind!